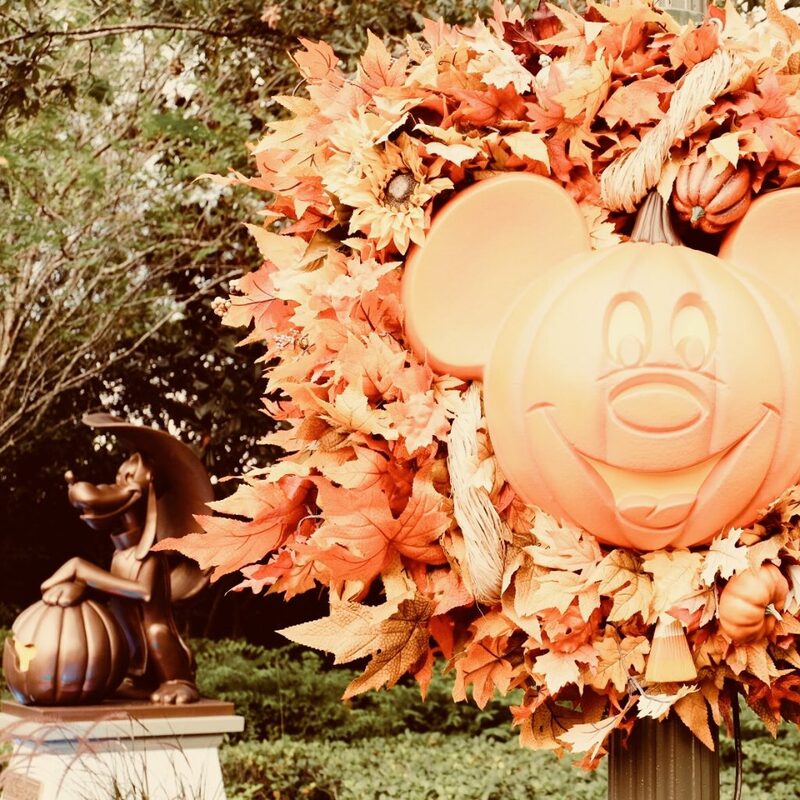 Mickey’s Not So Scary Halloween Party in 2018 added several new things that we were super excited to try! And yet, its sometimes the old favorites that we love most. 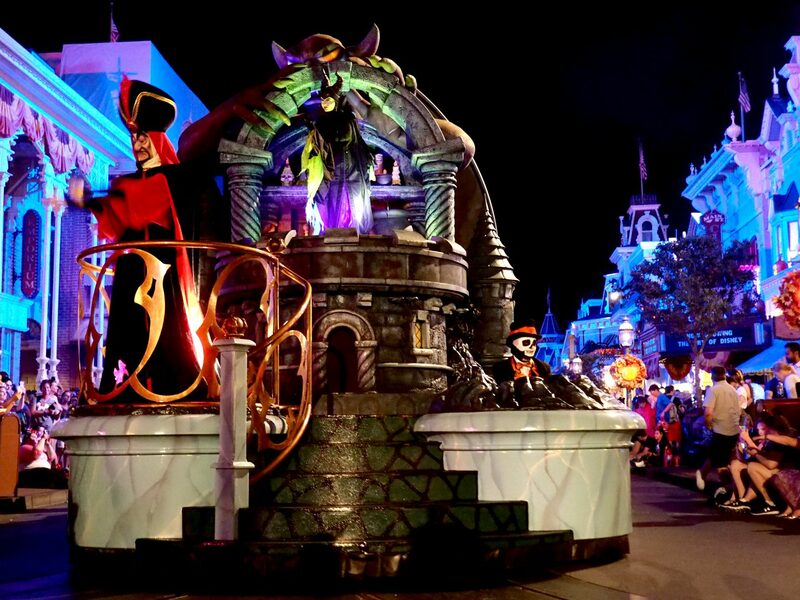 From the food, to the rides, to the treats, here are the things we liked best at Mickey’s Not So Scary Halloween Party this year. 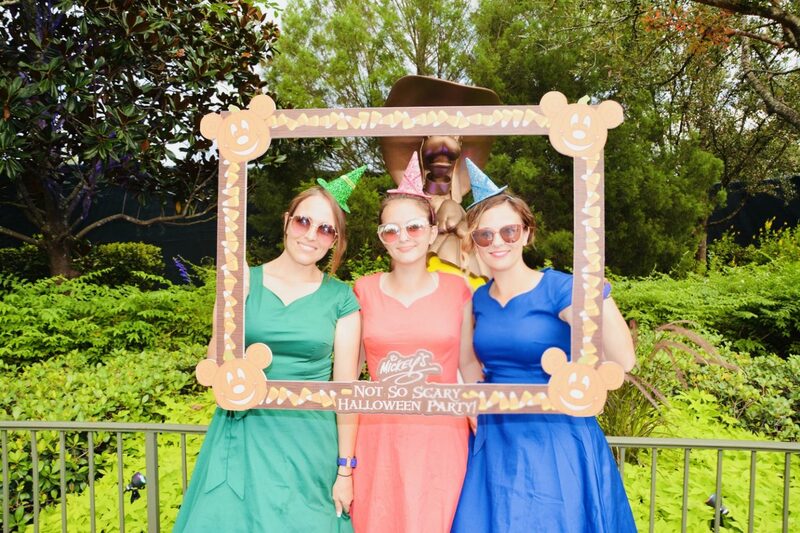 So it’s no secret that we love Halloween and have made our visits to Walt Disney World an annual tradition due to our love for this Halloween party. But what is it that we’re really going for? 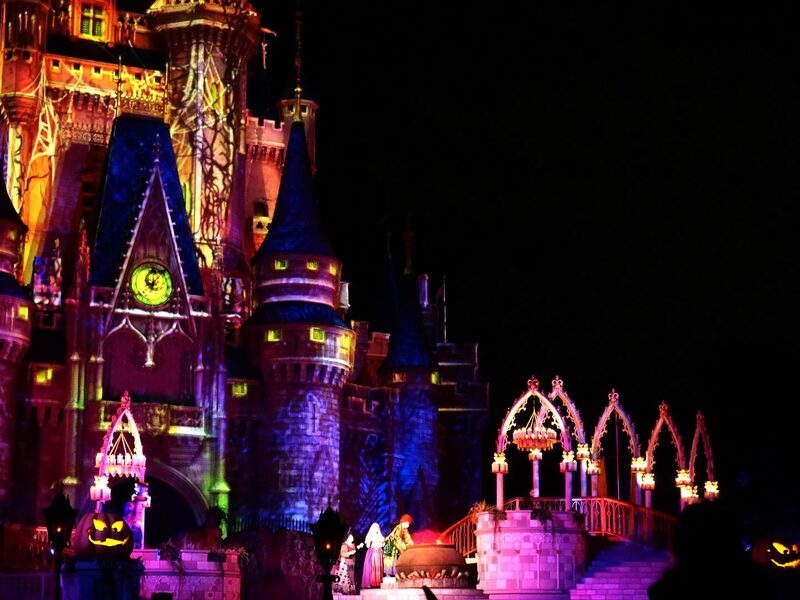 Sure the tickets to Mickey’s Not So Scary Halloween Party are pricey, and you can buy a bag of candy from Target so why make the trip to Walt Disney World at all? Here are all our reasons! We love love love this parade. LOVE. IT. With the soundtrack to the whole parade downloaded, courtesy of youtube, this music literally starts our spooky season. But there is nothing like seeing this parade in person. Need the lyrics? 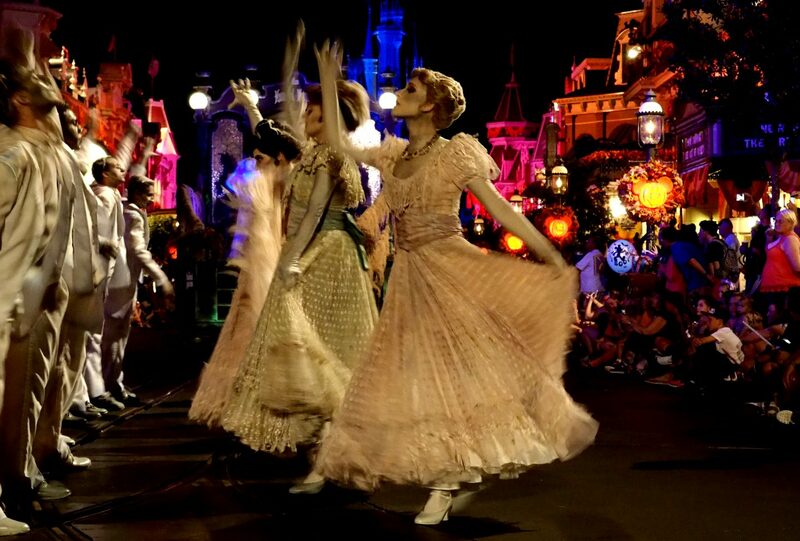 We wrote a whole post about Boo to You Parade tips, with the official Boo to you lyrics. We usually watch this parade at both showings, one earlier and one later just to get the full effect, and photos, of the whole experience. 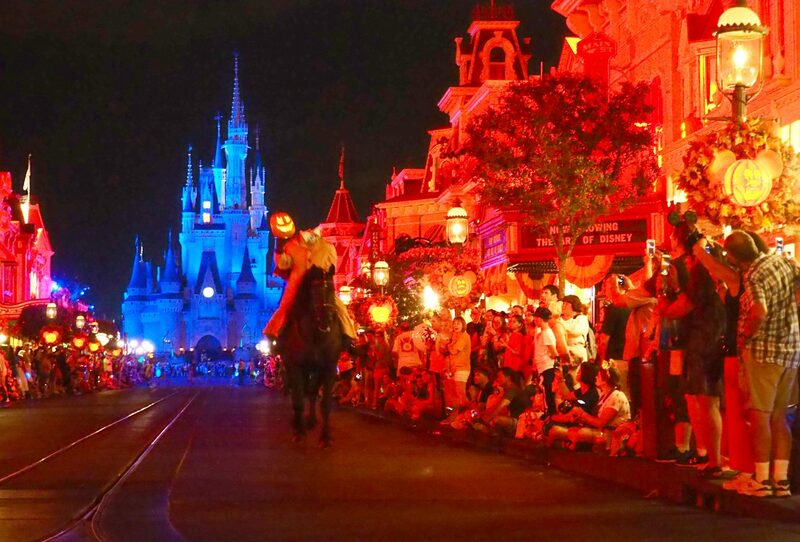 This year we camped out right in front of the castle to get the best views, and see the Headless Horseman up close. It’s always a treat when the Headless Horseman rides because sometimes he doesn’t! If it’s raining, lightening or even if the horse doesn’t feel like it, he may not lead the parade at all. 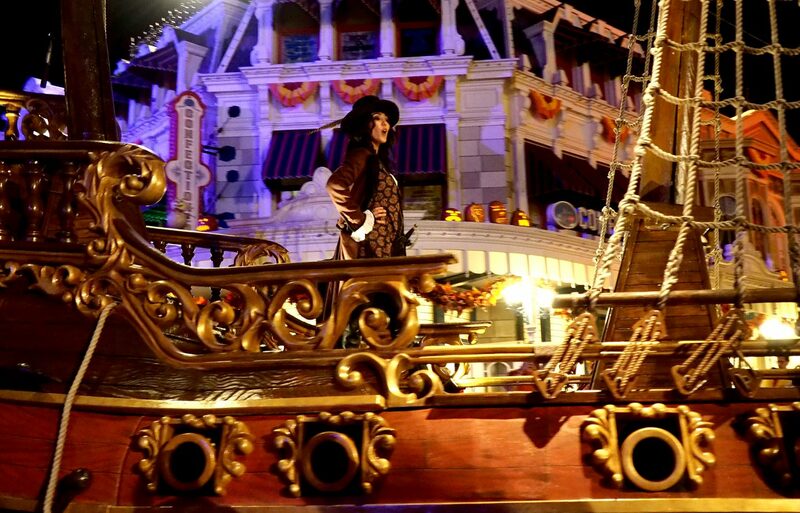 Either way, this parade is probably still the #1 reason we pack up every fall and head to Walt Disney World. Bette Midler’s Hocus Pocus flick from the 1990’s has a massive cult following. Dare we say almost as much as Nightmare Before Christmas! Mickey’s Not So Scary Halloween Party hosts three showings of the Hocus Pocus Villain Spectacular on the castle stage each Halloween party night. This year we aimed for the latest one, due to crowds and it is always a fun time. Amazing songs, all our favorite villains, and some hilarious antics make this a show you’ll want to try and see up close. So, we talk about food a lot. A LOT. 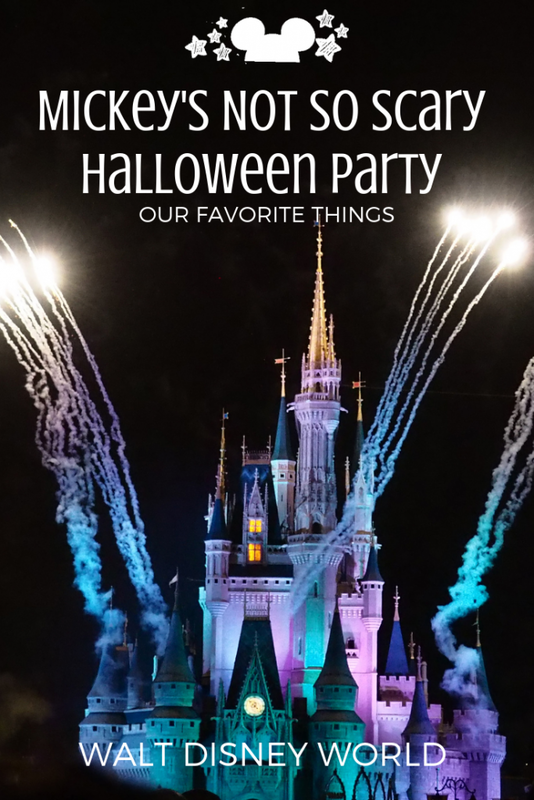 After stalking the Disney Halloween Treats online for weeks before we attended this party, we were thrilled to finally arrive and try all those treats you only get if you’re attending the party. We shared the treat menu here, but what was really worth it? The Maleficent Dessert was new this year and a must-try. 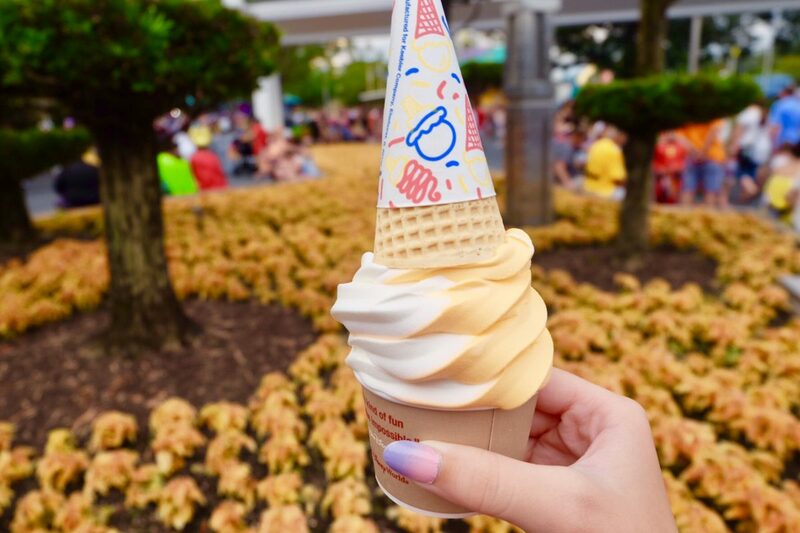 Lime ice cream, a black waffle cone and maleficent ears- this treat is actually available at Storybook Treats all day long. No party ticket required. So that was a perk. The Jack Skellington Push Pop at Sleepy Hollow was lovely and light. Nothing like mousse on a stick to make heading to your next ride, or parade easy. And we can never get enough chocolate cake. 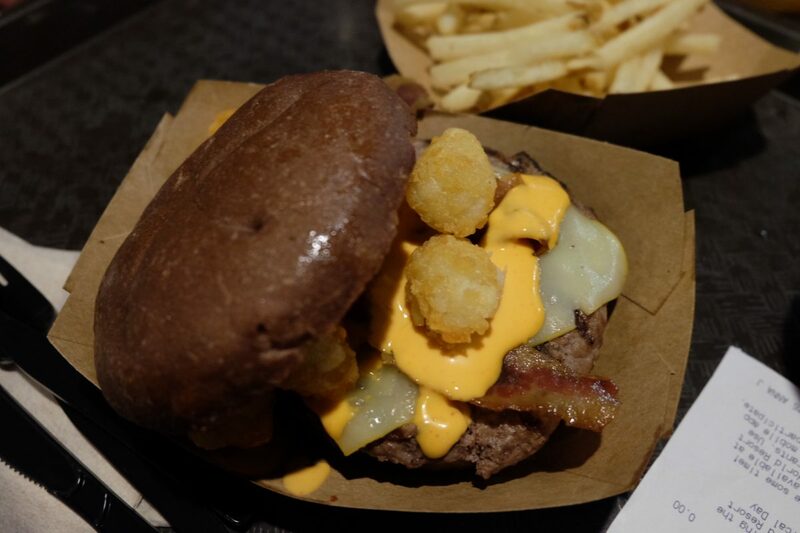 The Muenster Smash Burger at Cosmic Rays Starlight Cafe was pretty good with a siracha aioli, muenster cheese and made a complete dinner with tots. And then of course the Candy Corn ice cream and milkshake at Auntie Gravity’s Galactic Goodies is always a treat. People go crazy for this treat. We liked the ice cream best. 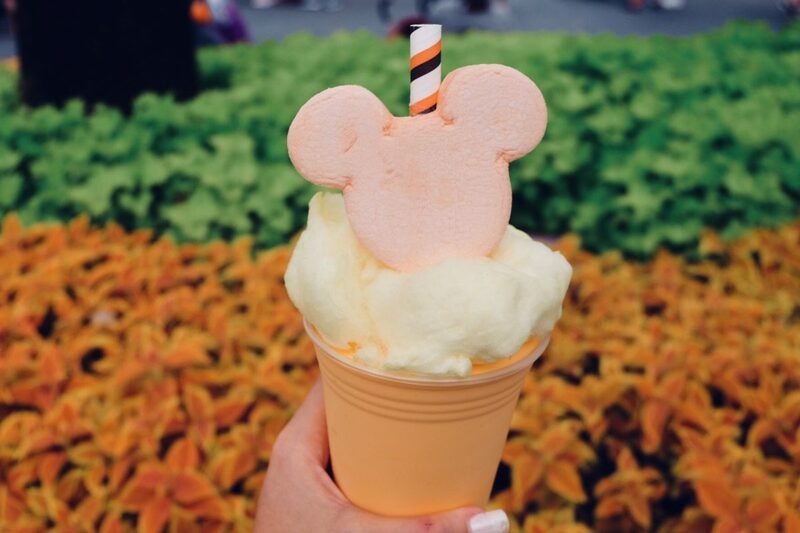 The shake ended up being a little too sweet, but with cotton candy and a Mickey marshmallow, absolutely adorable! 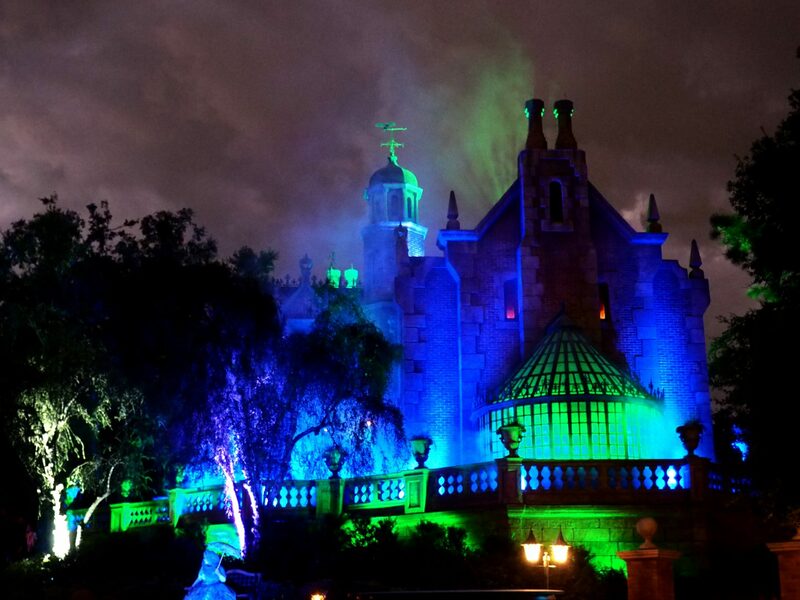 Always be sure to ride the Haunted Mansion during the Halloween Party. 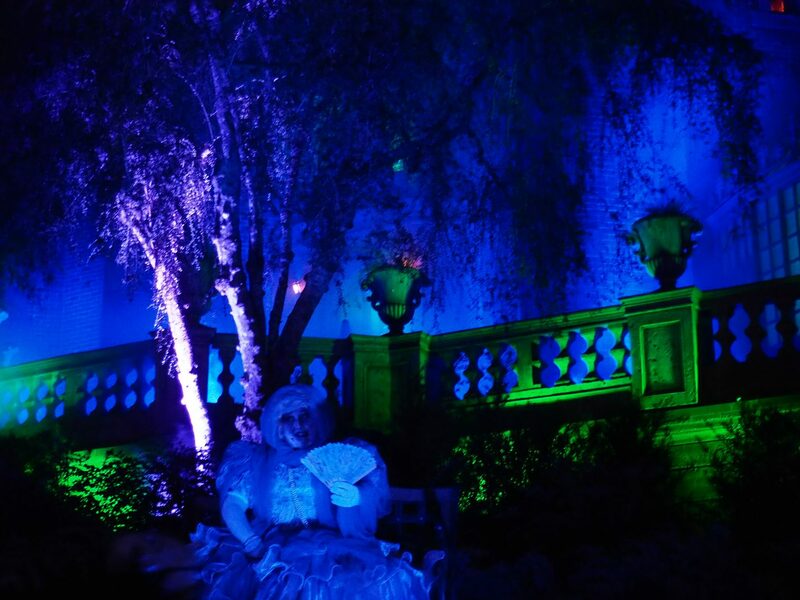 In addition to the cast members being dressed up and extra spooky, you also get the amazing Madame Carlotta sitting right outside the mansion, engaging with guests. She tells stories, and jokes and is such a fun addition to the experience of the party! We always make sure to see her in action every time we attend the party. 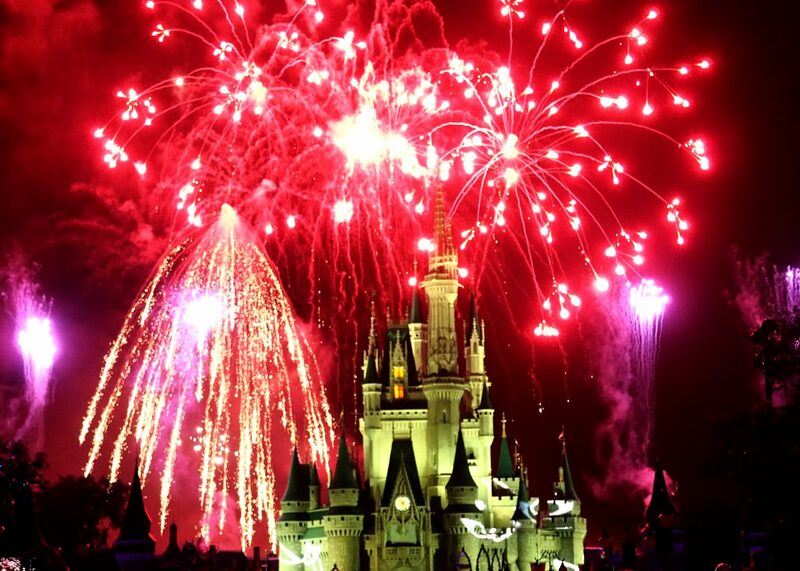 Another tradition at Mickey’s Not So Scary Halloween party is 360 degree fireworks show, Hallowishes. This is another one we usually try to score a place right in front of the castle. But since it is a 360 show, any spot is going to be a good one! We also got to see this show by chance from California Grill and it was stunning from afar as well. Absolutely one of our favorite parts of any Disney trip is the chance to see fireworks… and this is truly one of the best! Dressing up is such fun! This year we went as the 3 Good Fairies from Sleeping Beauty. As Flora, Fauna and Merriweather we donned cute dresses, hats and our favorite converse. Seeing everyone else dress up is another thing we just love about this party. Everyone gets so creative with their costumes and how can you not have a good time when you’re dressed up. The Disney Halloween Merchandise this year was adorable! 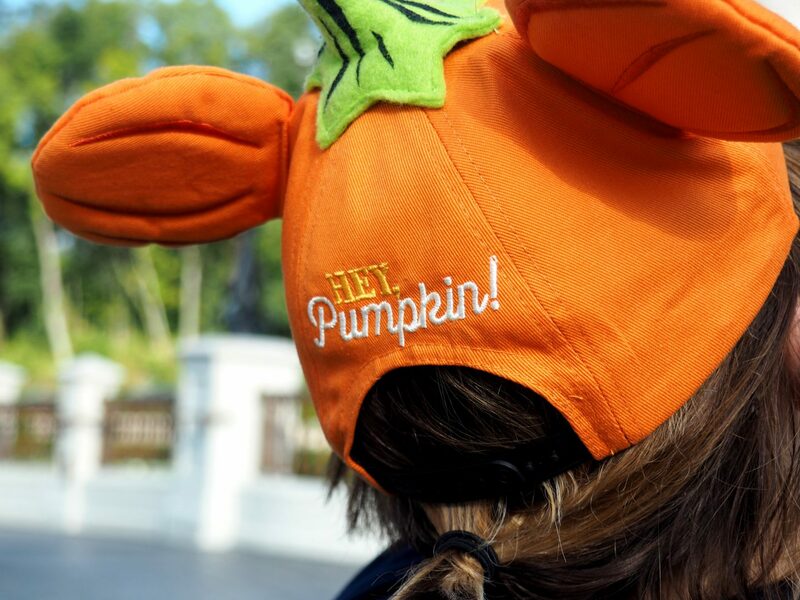 In addition to the basic Halloween tees and ears available throughout the fall, the party guests get access to their own special merchandise, only available at the party. We loved the designs, in the style of the Mickey shorts we love so much. 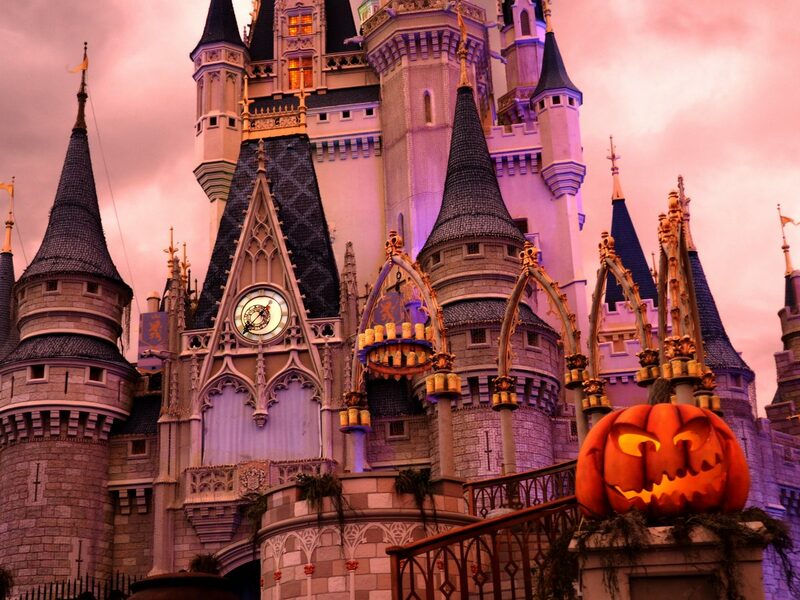 What are your favorite things at Mickey’s Not so Scary Halloween Party? Let us know if we missed something.